The face and scalp are common sites for skin cancer due to sun exposure. Cancerous lesions like melanoma and squamous and basal cell carcinomas are surgically removed leaving skin defects of different sizes. Patients who are already distressed by the skin cancer diagnosis are now even more distressed with a potentially disfiguring hole on their face. 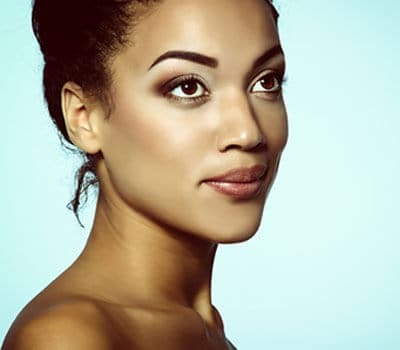 Dr. Alghoul, a renowned Chicago plastic surgery provider, combines his background and training in cosmetic and reconstructive surgery to provide patients with the best possible aesthetic facial reconstruction. Through carefully designed incisions and meticulous execution, he closes cancer-related defects while preserving facial contour and form. Small skin cancer defects are treated as an in-office procedure under local anesthesia. Larger defects that require extensive tissue dissection and mobilization are done in the operating room under general anesthesia or local anesthesia with sedation. Depending on the extent of the injury and the location, a staged approach may be required; in other words, more than one operation may be needed to achieve the desired results. Sutures are usually removed in seven to 10 days. Proper skin care and sun protection are essential during healing and to prevent the occurrence of future cancerous lesions. If you’d like to schedule a consultation with Dr. Alghoul to discuss skin cancer removal, please call (312) 695-3654.